Two years ago, I wrote about non-traditional head table configurations. I have many clients this year thinking outside the box when it comes to their head tables, and I wanted to share this post again on this week's Friday Favorites. 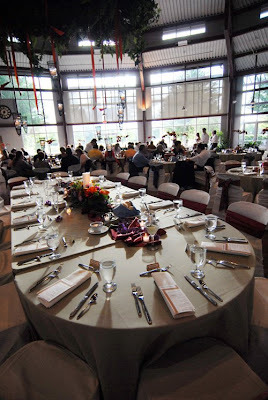 I am totally guilty of a traditional head table because of space issues at our venue. If I could do it again, I'd put our bridal party at the guest tables with their own dates, and Greg and I would sit at a sweetheart table by ourselves in the middle of the room. What are you doing for your head table? We're not doing a head table. Our wedding part will sit at traditional round tables with their dates/significant others, and the Mr. and I will sit at a sweetheart table. I love the idea of mixing it up, and doing something different. P.S. Hope you're enjoying the FLA sun!